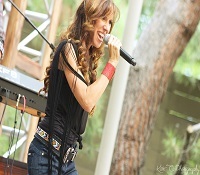 The Kelly Rae Band is a 6-piece, Southern California-based, high-energy country band that has been delivering crowd-pleasing performances to audiences from around the world for more than a decade. The band is comprised of seasoned musicians whose credits includeTanya Tucker, Rascal Flatts, Bobby Bare, and Trick Pony. 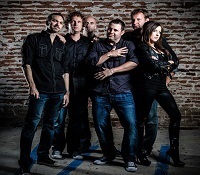 The Kelly Rae Band plays a wide range of country music from Patsy Cline, and George Strait to the most current Lady Antebellum, Carrie Underwood and Taylor Swift. With their extensive song list of popular chart-topping country tunes and classic favorites, they’ll keep you dancing all night long. Stepping Feet is the premier Dave Matthews Tribute Band in the country. The band has been converting non-DMB fans to DMB fanatics for the last 13 years! 12 members strong, Stepping Feet enjoys performing the songs while adding their own wrinkles and truly appreciate the family environment that comes along with being a Dave Matthews fan and tribute act. The most exciting and creative music being made today crosses stylistic boundaries and blends multiple traditions to create vital new sounds. 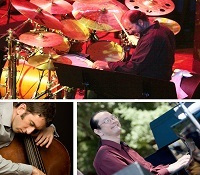 Charged Particles repertoire blends jazz styles with elements from Latin music, classical music, funk, and more. The group’s original compositions are mixtures of elaborate orchestration and opportunities for creative improvised solos. And they bring a similar approach to playing arrangements of tunes by other jazz artists and traditional jazz standards, including favorites by Cole Porter, Duke Ellington, Richard Rogers, and other composers of America’s most popular songs from decades ago, each played with a new twist. Siren’s Crush is a high energy, all live, dance band whose talent and young, modern appeal has set a new standard in top 40 entertainment. 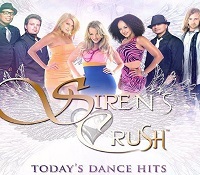 From old school favorites to today’s hot dance music, Siren’s Crush will keep the dance floor packed from start to finish! 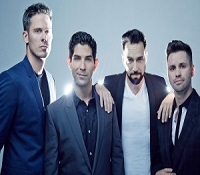 Four strong singers, superb harmonies, virtuoso musicianship and strong beat make this Country-Rock band one of the most entertaining acts on the West Coast. Coronado’s own Matt Heinecke brings a unique style of guitar playing, with influences ranging from folk, classic rock, jazz, country and bluegrass. 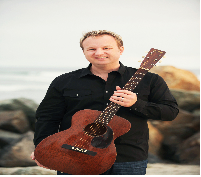 His 20+ years of professional experience have taken the singer-songwriter from Coronado coffee shops to the legendary studios of Los Angeles and Nashville to the Coronado School of the Arts, where he serves as Instrumental Music Director. Pop Vinyl hits dance floors with a high-energy, make-you-sweat performance, engaging the crowd with nonstop music all night long. Without a single break between songs, the party never stops rocking, and bridges the gap between bands and DJs… From Aretha to Beyonce, from Michael to Justin, Donna Summer to Madonna, Beegee’s to Black Eyed Peas, from Run DMC to LMFAO, the list goes on and on… and on! Their playlist spans 5 decades of up-beat, club-hoppin’ hits. 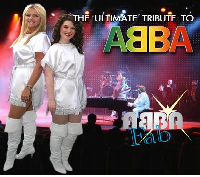 ABBA Fab is a stunning tribute to the music of ABBA, the Swedish pop group formed in Stockholm in 1970 who became one of the most commercially successful acts in the history of pop music, topping the charts worldwide from 1972 to 1982. This multimedia production is a tribute to some of the greatest music produced in the 1970’s and 1980’s including monster hits such as Waterloo, Fernando, Honey Honey, Dancing Queen and many others. 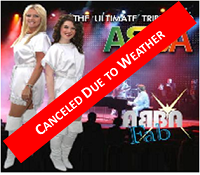 ABBA Fab is a truly unique experience you will remember for a long time! 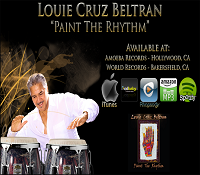 Blending Afro Cuban rhythms with Jazz, Latin Jazz, Pop and R&B influences, Louie Cruz Beltran is an entertainer at heart – an entertainer who is also a superbly skilled conguero, timbalero and vocalist. In short, Louie is the complete package! Marine Band San Diego, stationed at the Marine Corps Recruit Depot in San Diego, California, will present a memorable afternoon of musical entertainment. The band will present an exciting program consisting of marches, patriotic favorites, show tunes, jazz, and traditional sections for wind ensemble. The concert promises to be an event the entire family will enjoy. 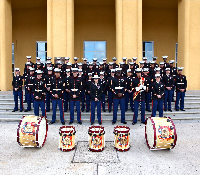 Founded in 1921, Marine Band San Diego performs at over 400 commitments each year throughout Southern California and Marine Corps Western Recruiting Region. They carry on in the tradition of excellence and service that has been the hallmark of the Marine corps since 1775. They are the few, the proud, the Marines! 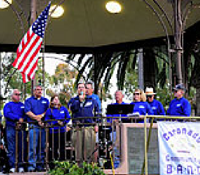 This 7 piece band plays everything from big band swing and standards from the ’30s and ’40s to today’s current hits, with oldies, Motown, classic rock, funk, ’70s disco/dance, and rock and roll mixed in. From their signature mashups to their new throwback pop, these modern gentlemen offer today’s sound with influences from the past six decades. Whether it’s Bruno Mars layered with Frankie Valli or an original inspired by MJ, the COMPANY MEN offer something for everyone. Non-stop jump, jive and party! 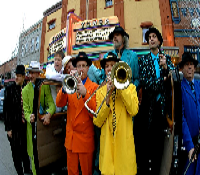 Playing hits spanning the last seven decades and today, The High Street Band will keep you boppin’ all night long. 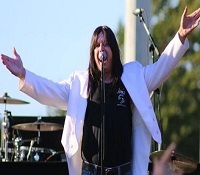 Tribute to Journey: Another Journey focuses on the Steve Perry era when the original Journey rose to the worldwide success that still continues to this day. 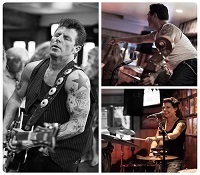 The Stilettos featuring Tommy Price are a high energy jump blues and rockabilly band. 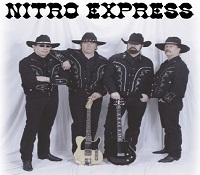 They have the sound and feel of the 50’s, with an amped up attitude that will have you dancin’ in your seat!